When you’re looking for comprehensive air conditioning services in the Catawba Valley region, you might think about calling on a friend who knows a thing or two about air conditioners. Why? Simply because you want to rely on someone you can trust—but it’s risky when you hire someone who doesn’t have the proper experience and credentials. So, what if you could call on someone who isn’t just trustworthy, but is also backed by decades of experience, and fully certified? 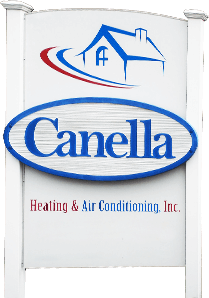 Canella Heating & Air Conditioning, Inc. is your family in the HVAC industry, and since 1990, we’ve been providing air conditioning installation, replacement, repair, and maintenance for the Unifour community. Sure, HVAC is what we do best, but what we love most of all is helping residents of the Hickory, Catawba Valley, and Unifour areas in any way we can. Give us a call for anything you need, and our family of NATE-certified and licensed technicians will find a way to help (whether it’s about air conditioning services or not!). Contact us today to schedule an appointment for air conditioning services from a licensed and reliable family. Click Canella Heating & Air Conditioning to Get Every Ounce of Comfort You Deserve. Air conditioners are complex machines, and every component of the machine must be in proper working order for the system to run. Sometimes, all it takes is one little thing to leave your AC inoperable. But don’t worry—that doesn’t mean you need air conditioning replacement. It might be something very easy to fix. Load Control (Power Manager): This is a voluntary program used by electric companies, which allows them to interrupt your air conditioning power for a short amount of time throughout the day. The conditions may vary depending on the company, but in general, these times of reduced power should only be happening during the middle of the weekdays—the times when the average homeowner is least likely to be home. Many homeowners have enlisted in this program way back during their air conditioning installation and may have forgotten about it. If the AC doesn’t come back on a few hours later, call us, and we’ll help you get to the bottom of the problem. Tripped Breakers: A quick peek at the electrical panel should inform you if your AC has tripped the breaker. If the circuit breaks repeatedly, it could warrant the need for air conditioning maintenance. Clogged Air Filter: If your AC isn’t blowing cold air, one likely culprit could be the air filter. A clogged and dirty air filter will restrict air flow and could lead to worse problems down the road. Replace it, let the AC run, and check if the airflow improves. Thermostat Program: Sometimes, the cause of your low airflow problems is nothing more than a thermostat issue. It’s not uncommon for us to receive calls on weekday holidays, when the AC is running its usual weekday setback cycle to save energy. Alternatively, your AC might be set to the "on" function instead of "auto." No matter your needs, we offer the service and dependability that you’re looking for. Call our team today to schedule air conditioning services in Hickory, NC and the surrounding Catawba Valley area. We’ll have a certified AC technician to your door in no time!